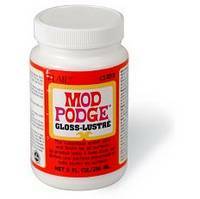 Mod Podge is my JAM!!! I’m still working on my art journal. So far I’ve used Mod Podge as an adhesive and as a medium for paint (and glitter – can’t forget about the glitter). I’m having lots of fun in general while I’m trying really hard to work with stuff I have on hand as much as possible. I’m having so much fun with this stuff that I hope I find more time to work on it during the Summer. Monday News: 641 million dollars is a lot of money.